Michael Jablonski, Jr., 76, of Georgetown (Hanover Twp. ), died Monday January 21, 2019, at Good Samitran Hospice, Beaver. Born January 16, 1943, in Pittsburgh, he was a son of the late Michael Sr. and Dorothy (Reed) Jablonski. Michael worked as a carpenter for much of his life and enjoyed woodworking and organic gardening. In addition to his parents, he was preceded in death by a daughter, April Blake and a brother, Kelsey Jablonski. Surviving are his wife of 54 years, Sandra A. (Smedley) Jablonski; his children and their spouses, Stephanie (Ralph) Thomas of Weirton, Michael A. (Treadeen) Jablonski, Dana L. Jablonski and Jamie C. (Heidi) Jablonski all of Columbus; a son-in-law, Paul Blake of Chester; two brothers, Keith Jablonski of Tenn. and Gaylord Jablonski of Ohio; two sisters, Maryann Lyons of Georgetown and Robin Walter of Midland; grandfather of twelve and great-grand father of six. There are no visitation or services. 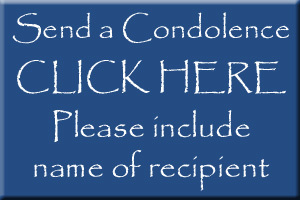 Professional services provide by MCCONNELL FUNERAL HOME, 447 Pine St., Hookstown, PA 15050.